It takes a misunderstood artist to know one, so when Seth Rogen revealed that his good friend James Franco has plans to play Tommy Wiseau in an adaptation of The Disaster Artist: My Time in The Room, the world responded, “Well, of course.” Rogen revealed the plans during an appearance on the Opie and Anthony radio show where he talked about the film, which he will produce with his writing partner Evan Goldberg. Based on the book by Greg Sestero – who co-starred in the infamous cult hit – the film will chronicle the production process of The Room, which was plagued by problems and cost its writer/director/producer over $10 million. Though Wiseau is primarily known for his work on The Room, which he wrote, directed, produced and starred in, he has also produced and acted in several other films, as well as creating a television show and two web series. Franco, meanwhile, has dabbled in almost every artistic medium there is, and in addition to acting, directing, screenwriting and producing. He is also a painter, poet, teacher and novelist. Plus, he starred in Spider Man 3, which is basically The Room of the superhero genre. Whose Work is Not Taken Seriously.. Though most of the world loves The Room for being so terrible that it’s entertaining, Wiseau seemed to believe it to be a great work of artistic genuis. He now seems to admit that it’s not very good, though whether he’s truly changed his mind about it or is just playing along, we’ll probably never know. Similarly, much of Franco’s non-acting work has received mixed-to-negative reviews from critics, many of whom dismiss him because of his celebrity status. Like Wiseau, he has also capitalized on the criticism to make fun of himself, although we’re almost certain that he still truly believes himself to be an artistic genius. And Are Famous For the Wrong Reasons. Wiseau’s celebrity is due entirely to the fact that The Room is, according to Entertainment Weekly, “the Citizen Kane of bad movies,” rather than any of his other, more successful projects. 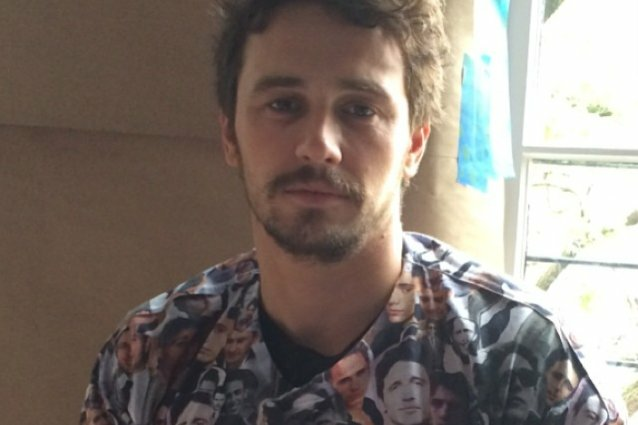 While Franco’s been giving solid acting performances since his breakthrough role in Freaks and Geeks, he’s more likely to get press coverage for things like taking half-naked selfies, inappropriate Instagram behavior, or fighting with critics on Twitter. And those are just from the last two months. Franco’s collection of short stories, Palo Alto, was recently adapted into a film by Gia Coppola – with Franco starring, obviously – which premiered at the Tribeca Film Festival to largely positive reviews. Wiseau, however, preferred to direct his adaptation himself, and turned his 540-page novel into The Room. Since the final product wasn’t 9 hours long, that means enough was cut from the novel to be the basis for an entire Room film franchise. And Both Have a Connection To James Dean. According to Sestero’s book, Wiseau was so enamored of the late actor that several lines The Room were based on the dialogue in the film Rebel Without A Cause. He also revealed that Wiseau frequently visited a restaurant owned by one of Dean’s friends, although if he’s looking for a tenuous connection to Dean, he’s probably better off befriending Franco, who won a Golden Globe for playing Dean in a TV biopic. Besides, it’ll save him a lot of money in the long run. Just put a long, dark wig on Franco’s head and give him a healthy spray tan, and they could be twins.